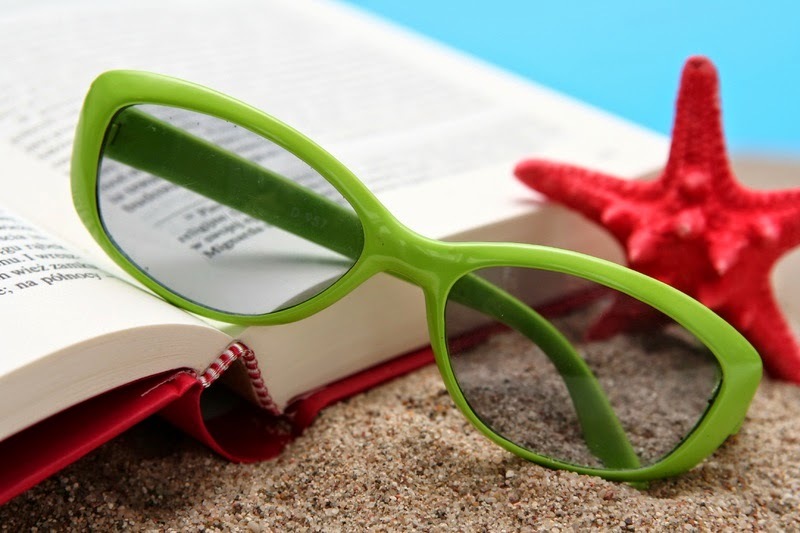 The gals at The Broke and The Bookish have asked us to list the books on our summer to-be-read pile for this weeks Top Ten Tuesday. What goes better with a book on a warm summer day than a deliciously sweet and cold creamsicle cocktail? You have to try my very favorite new drink recipe. What books are you hoping to get to this summer? Do you have a go-to summer beverage? 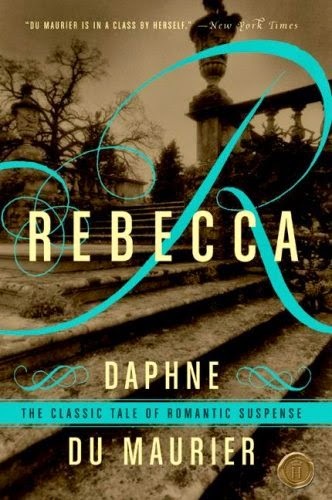 I loved Rebecca by Daphne du Maurier. I'm due for a re-read actually. I hope you enjoy it! Rebecca is on my list to read at some point this year, so I'm totally with you on that one. I'm curious what you'll think of the Ferris, since it didn't really work so well for me. I picked up Rebecca for cheap not long ago and it's ABOUT TIME! I've read quite a few mixed reviews on the Ferris. Hmmm. I'm curious about how it will go for me. 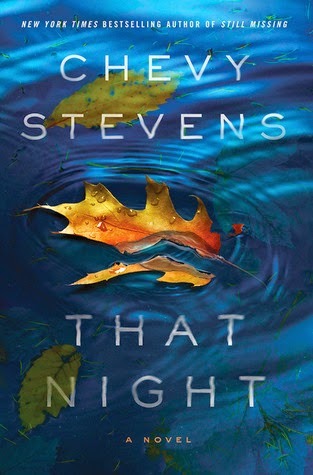 Like Shannon, Rebecca is on my list to read at some point. Maybe we should do a read-a-long of sorts. It would include your sinful drink, naturally! LOL, priorities! ;) That drink is just sooooo good. Mmm! Is it noon yet? 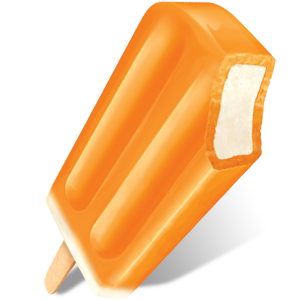 Ah, that dreamsicle... I'm a big beer fan, so that's my summer go-to. Sitting on the deck, reading a book and drinking a cold one. I enjoy a cold Bud Light now and then too. :D Nothing fancy for me in the beer department. Ahhh, love the idea of being on the deck right now. Rebecca is a wonderful read, I hope you enjoy it! 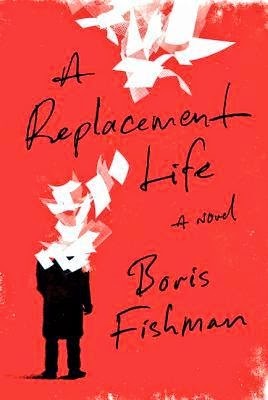 :) I also really want to read The Replacement Life. Curious to read your thoughts on Summer House with Swimming Pool; suffice to say I found it rather unsettling. I'm so ashamed that I haven't read Rebecca yet. It's so well loved and here I am over here not reading it, lol. I'm going to change that this summer, darn it! Summer House should be interesting. Did you read his previous book, The Dinner? Whew! I loved Rebecca -- both the book and the movie. Great list. Here's mine. Thanks for stopping by, Keri :D I hope I like it too...I have a good feeling that I will. I really should re-read Rebecca! I loved the novel, the 1940 movie, and the Mitchell and Webb parody! Rebecca would make a great read-along choice. Anyway, I hope you like it! I'm looking forward to reading your thoughts on it. I definitely want to read Summer House with Swimming Pool! I read Koch's The Dinner last year and enjoyed it. And Rebecca remains a distant curiosity to me... perhaps one day. Here's my list. I'm looking forward to Summer House with Swimming Pool and a few of the others on your list, too! Thanks, Cora :) I hope I like all of them! Rebecca is one to read and reread. I'll be interested to see what you think of The Replacement Life. I've seen mixed reviews--I liked it very much. 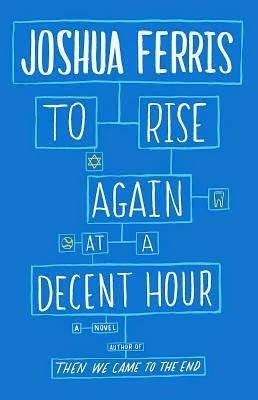 I want to know what you think of the Joshua Ferris book too. I read his first novel and loved it but haven't read any of his other books. I am so excited to read Rebecca :D It seems to be such a well loved favorite. It's crazy to me that I haven't read it yet. Hopefully I'll be a fan of The Replacement Life. I've seen mixed reviews as well...uh oh! Now I want a creamsicle! I have Herman Koch's The Dinner on by "full" TBR, but not on the summer list. Looking forward to hearing about that one and the Joshua Ferris. I've heard so many good things. The Dinner is quite the read! Very intense. Hope you like it! Rebecca is one of my all time favorites. And that drink looks dangerously good. The Ferris book is on my list for the summer too. As for drinks... I'd love to find an amazing sangria recipe this year. You know what? I've never had a good sangria. Hmmm. I think the hunt is on!! 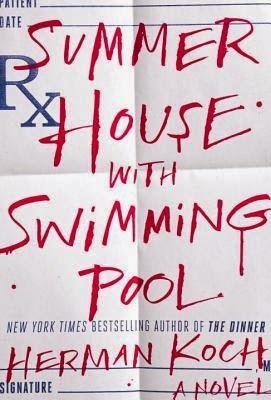 Summer House with a Swimming Pool also made my TTT post - I'm always looking for a new dark psychological thriller. I'm looking forward to seeing your review! Yum, summer drinks. Rebecca is a good summer read. I haven't read any of the others. Hope you like them! Ermagherd! The drink sounds fabulous and REBECCA! So good. I'm telling you, you may never want another drink again ;) You're one of the gals who has inspired me to finally read Rebecca! Rebecca was straight-up fantastic! Though I almost want to suggest saving it for the fall/Halloween time. You have a point. I know a lot of folks like to read this around that time of year. Hmmmm. Now I might wait! Oh my word that cocktail sound AMAZING! Waaaaaaaaant! They're dangerously good. Like, you best have a designated driver, good! 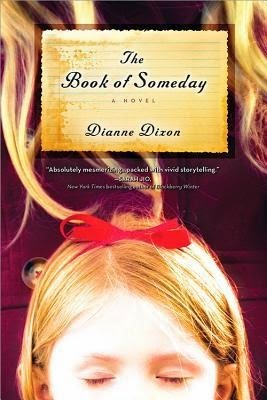 You have some amazing books on your summer reading list. That Night is going to go down as one of my favorites for the year. Wow... Interesting that you have Rebecca on your list.... I was just thinking that I really need to read it! Somehow I never did. And then I feel like a doofus when I read reviews referencing parallels to Rebecca! Hmmm....well I'm overwhelmed with choices for the summer, but that sounds like a book to read on a cozy winter night by the fire with a hot toddy!! Ha ha ha, yes! I get the whole feeling like a doofus thing as well. To be honest, I have a list of shame books that I should have read eons ago. One day! I am SO making that drink!!!! YUM! I haven't read any of them, but Rebecca is on my list. Also, I just got a "Dessert Bullet" for my birthday. I haven't tried it yet, but I'm super excited.